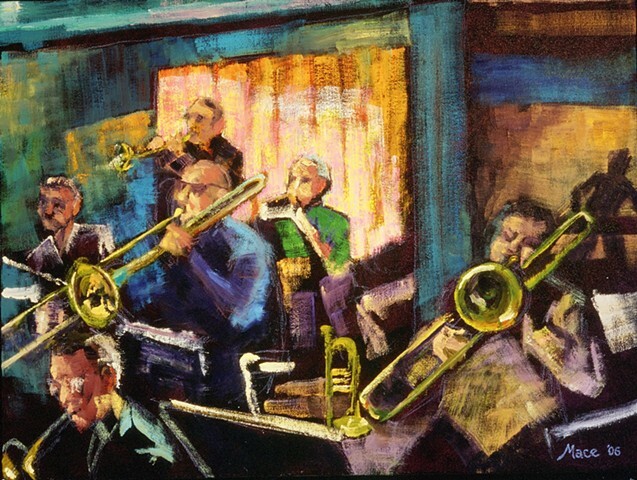 One of the last in the series painted in 2006 with Rob Scheps' "Salon des Refuses" band. Painted at "Disjecta" when it was still on Russell Street. This is one of the most minimalist of the jazz series, painted at one go.